All titles: band's own M400? 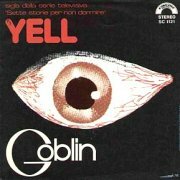 Goblin are a bit of an odd one; a progressive band whose main work was as soundtrack composers/performers for Italian horror maestro Dario Argento. They grew out of prog one-offs Cherry Five, whose sole album appeared in 1975, releasing their first album as Goblin, the soundtrack to Profundo Rosso, the same year. After their first (of two) non-soundtrack work, Roller ('76, ****½), they began what has to be one of the most prolific soundtrack careers in the business, producing more than a dozen over the next few years, some of which only spawned a single of the main theme or are yet to be released in any form. 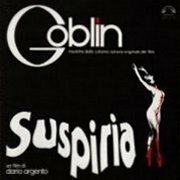 Suspiria is their third album and second soundtrack, and stands up well on its own without its accompanying visuals. Claudio Simonetti's Mellotron had strings/choir/church organ tapes, and they use all the sounds to good effect, though only on three of the original album's eight tracks. According to the CD reissue sleevenotes, the original Italian release added two tracks from its predecessor, the non-soundtrack Roller, but the Canadian version I have only has the eight tracks listed above. The music is pretty much what you'd expect from a '70s horror film; dark, creepy and extremely atmospheric, with some excellent playing and a main theme to die for, played on the celeste, an instrument you'll know from the Dance Of The Sugar Plum Fairies from The Nutcracker Suite. The bonus tracks on the CD make it well worth purchasing; two more versions of the title track, a short Mellotron choir-soaked instrumental, and an alternate version of Markos with even more 'Tron than the standard version. Their next horror soundtrack was Zombi, also known as 'Dawn of the Dead'. 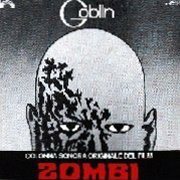 Far more obviously 'soundtracky' than Suspiria, Zombi is less likely to appeal to the average progressive fan, although it's still a good album. It's hard to tell just how much Mellotron has been used here; Oblio has some very obvious strings, and I'm pretty sure that's choir on L'Alba Dei Morti Viventi and Zombi itself, although I could be wrong. The bonus 56-second version of L'Alba Dei Morti Viventi has the choirs right up in the front of the mix, although they're more in the background on the regular alternate take. Hard to tell. A single from the period, Yell, features the choirs, too, played by Antonio Marangolo this time round. Il Fantastico Viaggio del "Bagarozzo" Mark, or 'The fantastic journey of the beetle Mark' (! ), their second non-soundtrack work, appears to be a concept album about, er, the fantastic journey of a beetle. Called Mark. (Mike tells me it's the tale of 'Mark the beetle selling his soul to the Devil for a pound of sugar'!) No, I don't know why either, but after initial misgivings, despite its resolutely late-'70s sound, it's actually a pretty good record. Don't expect anything like its predecessors (there are vocals, for a start), but take it for what it is, which is a good, innovative progressive release, although watch for the Cinema Show cop on Opera Magnifica. Very little 'Tron, to the point where I'm not 100% sure it's there, but the strings on Le Cascate Di Viridiana sound like a Mellotron/string synth mix, while they use a brass variant at the beginning of Un Ragazzo D'Argento (again, thanks, Mike). 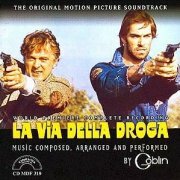 Although Goblin's Mellotron use is mainly confined to their horror soundtracks, there's a smidgeon on 1978's La Via Della Droga (literally The Street Of Drugs). The album's more self-consciously soundtracky, with an overall preponderance towards 'soundtrack funk', that peculiar stylistic crossover you don't hear anywhere else (Sequence 13 (Finale) is possibly the worst offender). This really isn't very prog at all, to be honest, or no more so than many other soundtracks of the era, putting it rather further down the Goblin novice's 'must-have' list. Mellotron on one track, with male voices on Sequence 2, but nothing you won't hear better somewhere else. 1980's Contamination has Mellotron on one track, to my surprise. The soundtrack itself is pretty good, within the confines of the genre, with most of its tracks having at least a proggish bent, although some of that funk creeps in here and there. There's considerable crossover with the previous year's Buio Omega, strangely, although I've no idea if the films are even about similar subjects. 'Tronwise, there are choirs all over Connexion, with more of the same, briefly, on one of the CD's bonus tracks, Withy (Alternate Version), though again, nothing too essential. 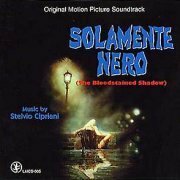 Solamente Nero (which appears to be a collaboration with Stelvio Cipriani; Cipriani writes, Goblin play) was recorded in '78, but not released until 1995; thankfully, it's vastly better than Squadra Antigangsters from the following year, one of the crummiest soundtracks it's been my displeasure to sit through. OK, so it's a cop movie from the late '70s, but was wall-to-wall disco really necessary? Anyway, Solamente Nero is nothing of the sort, although a few funk basslines creep in here and there. Most of its 35 tracks are under (some well under) a minute long, meaning the whole album's under forty minutes in total, giving the disc a slightly disjointed feel, although I suppose it at least mirrors how the music works with the film. No especial musical highlights, but nothing that offends, making this a less-essential but far from unlistenable effort from the era. Not much Mellotron, with 'regular' choirs on L'Ossessione 5 and Lettere and discordant ones under the orchestral strings on La Fatucchiera and Gli Inganni. At the end of the '90s, Cinevox compiled a couple of collections of the band's work, discovering a forgotten live tape from 1979 in the process. 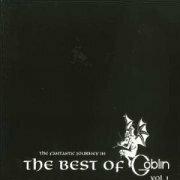 The Fantastic Journey in the Best of Goblin Vol.1 consists of one disc of previously-heard material, with the live stuff on the second disc. Possibly unsurprisingly, seven of the eight tracks are from their two non-soundtrack albums released up to that point, a couple from Roller and several from the recent Il Fantastico Viaggio del "Bagarozzo" Mark, leaving the older Profondo Rosso from the soundtrack of the same name. The material comes across well live, despite the slightly ropey sound quality, proving that the band weren't a mere studio creation, although it's interesting that they stuck mainly to the more 'prog' end of their repertoire. Simonetti's Mellotron work is odd, as the choirs don't really sound very like 'Tron choirs, although you can hear that they're being keyed on Opera Magnifica. I don't believe the church organ on Profondo Rosso is Mellotron, which leaves faint choirs on Aquaman and Mark Il Bagarozzo and strings (as against string synth) on Un Ragazzo D'Argento, although nothing on Le Cascate Di Viridiana, which has 'Tron on the studio version. So, while the album's worth hearing, its Mellotron use is slightly inessential. As far as I can ascertain, there's no Mellotron use on any other Goblin soundtrack (including singles), but there may well be a handful I haven't heard; hard and fast information isn't easy to find, even in their official discography. 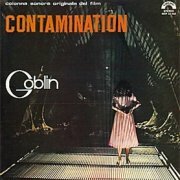 Original Goblin albums are deservedly sought-after by progressive fans, and Cinevox have to be applauded for finally making some of them more widely available. All their early work is pretty much essential, with Suspiria being one of the best. Zombi's less essential, but pick it up if you see the recent CD version, while Il Fantastico Viaggio... is good, though not for the 'Tron. By no means all of Goblin's late '70s soundtrack work has been officially issued, a notable case being their uncharacteristically funky score for thriller Squadra Antimafia (Little Italy elsewhere). I say 'uncharacteristically', but then, they were simply providing a film soundtrack and their usual Argento thing would've been completely inappropriate in this context. The album wouldn't be so bad if that's all it contained, but it also includes several songs, presumably featuring somewhere or other in the film. Polvere Blu is a not-so-bad slice of Pretenders-esque jangly new wave pop, but, sadly, the cheeso pop of Fortuna is more typical of the song-based material here. As far as the soundtrack stuff goes, lengthy opener Farina's Suite is pretty good, at least in context, while Antimafia 2 starts with a great, UK-esque synth riff, but is unable to sustain the momentum, while the other instrumentals are pretty much what you'd expect: sub-Lalo Schifrin stuff that, no doubt, fits the action perfectly. Mellotron? Simonetti gives us some (very) intermittent brass on Farina's Suite, although that's our lot. In other words, of interest to fans of action movie soundtracks, of less interest to fans of Goblin's horror film work and of practically no interest at all to anyone wishing to hear some Mellotron.